Computer gaming peripherals maker SteelSeries has introduced two new World of Warcraft-edition products, the MMO Gaming Mouse and Zboard Limited Edition (Wrath of the Lich King, or WotLK) keyboard. 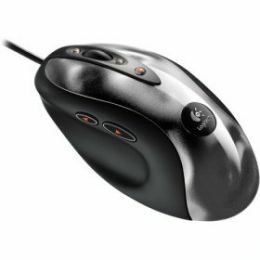 The mouse can seemingly act as a keyboard replacement during gameplay, as it features 15 buttons that can be assigned to various shortcut operations in the game and reprogrammed again for everyday computing use. SteelSeries worked with World of Warcraft creators Blizzard Entertainment on both products, which are officially licensed. 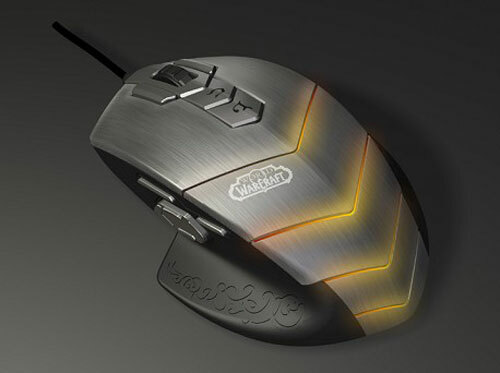 The mouse lights up in what SteelSeries claims is a choice of 16 million colors selectable by the user, and there are three intensity and pulsation level settings. The mouse is able to macro up to 160 characters, and there are more than 130 predefined commands for drag-and-drop macro creation. The SteelSeries Zboard Limited Edition (WotLK) keyboard includes a removable keyset, in this case specially designed for WoW, with graphics to match in addition to a standard keypad. The keyboard allows for seven simultaneous keystrokes for anti-ghosting, and has one-touch macros for raiding and PvP gameplay. The keyboard connects to computers and acts as a USB extender via an internal hub with two USB ports. Via the SteelSeries Z Engine software, users can program each key as they see fit. Both products are available to pre-order from Steel Series webstore now, with shipping dates set for November 13. The mouse is priced at nearly $90, while the keyboard is priced at about $65. Whatever sport or hobby you’re doing you will always find people who blame the tools they are using instead of themselves. This is the same while Gaming, they will always blame the equipment they are using when they keep losing. It could be that they have spyware on their computer or that they need a new graphics card, but what is often overlooked by gamers is the peripherals they are using. The manufactures of these products are becoming ever more wise to this gap in the market and are plugging it with gaming mice and keyboards which can help improve the playing style of the gamer improving their score. Some people who have never used a gaming mouse look at the price tag that is often attached to these mice and think, “what’s the point?” But as any series gamer knows the mouse is the most important piece of hardware in your arsenal, especially when playing First Person Shooters. When you compare the specification of a standard Microsoft mouse and a Gaming mouse such as the Logitech G5 you see a vast difference in quality and usability that makes these mice suitable for gaming. Sensitivity is one thing to look at when buying a mouse when gaming. If you’ve ever been in one of them close quarter gun fights in Counter Strike where the enemy moves their gun so fast that you don’t stand a chance, they will be using a mouse with a high sensitivity so that smaller movements with the mouse translate to bigger movements on the screen.